Creating Your Future a’ la Tesla! Through your actions you are creating your life story every day. A journal can be used to capture the resulting story as you describe your experience. That is the looking backward aspect of a journal and it is very important for introspection and assessment of progress. A far more powerful dynamic of a journal is it’s ability to draw you forward or towards a life you envision! That’s what goals are but let’s put goals on steroids through the use of “synthesized experience”. As Dr. Maxwell Maltz noted in his great book Psycho-Cybernetics, your nervous system can’t tell the difference between an actual experience and one you vividly imagine. What if you could dramatically change your life by vividly imagining a future that is clearly experienced in your mind? What if you could synthesize or create a future mentally and then be drawn towards it. In actuality you are already in the habit of doing just that. You can harness the habit and focus it through the power of your journal. When you get up and plan to go to work, you’re synthesizing an experience. You picture yourself going to work and then take the steps to get there. That’s not a new concept or a contrivance out of a fantasy novel. It’s believable because we see ourselves doing the things we need to do in the near future all the time. Let’s apply steroids to the habit by learning how one of histories greatest inventors used synthesized experience to change the world. Nikola Tesla is one of history’s greatest inventors. His inventions affect you every day even though you may not realize it. He helped developed alternating current and designed the rotary electric motor that powers so many of the electrical devices we take for granted today. 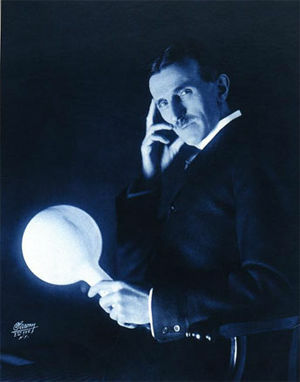 To help him come up with his 300 patents Tesla would get somewhere quiet and picture himself far in the future. He then envisioned what life would be like in the years to come and what different inventions people would be using to make their existence better and more productive. He would clearly play out in his mind how people could benefit from new devices, technologies and inventions in that future time. He would capture the thoughts that came up from his virtual journey in his diaries and journals. He would then go into his lab and put his mind to work figuring out how to make those ideas real in the present time. The results were dramatic! You can experience dramatic results in your life as you also “synthesize experiences” in your journal. Great vacations begin as a thought. Synthesize the experience of the perfect vacation by writing out the specific details of the smells, sights and sounds you want to create. Synthesize the experience of the perfect speech and experience the applause of a job well done before you actually give it. It will dramatically affect the actual speech as you practice it in your mind. Let your nervous system know what you expect as you imagine very clearly what it would feel like to have an abundance of wealth and time. What if money was no object and you could live the life of your dreams. Imagine how that would feel and then write the thoughts that result in your journal. Synthesizing experiences is something we do every day when we picture what we want to do next. It’s what we picture ourselves doing before we actually take action. We can synthesize watching TV as easily as we can synthesize a great vacation, a new job, abundant income or a new physique. Although we can’t always get exactly what we envision, the act of clarifying what we want and writing it down to make it concrete, does something to the brain that is light years beyond a simple wish. It is what has propelled the greats throughout history to create marvelous inventions, works of art and literary masterpieces. Fire up your nervous system today and take charge of synthesizing the experiences you want in your life and capture them in your journal. A synthesized experience is taking your goals and putting them on steroids. It takes a wish and turns it into a powerful experience that your nervous system accepts as real and reacts accordingly. It will draw you to a future that is dramatically different from the present. It worked for Tesla, make it work for you!